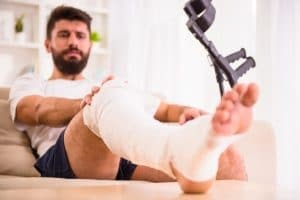 Your medical bills, lost wages, car rental expenses and the cost of retrofitting your home: these are the types of expenses most people think of first, after they have been critically injured. However, personal health care costs for treatment received in the hospital can be immense. These costs alone can push victims into financial difficulties, especially if the victim does not have health insurance coverage or is underinsured. Increased food expenses due to a required change in diet. Certain illnesses can lead to dietary restrictions, or the need for supplements such as specially formulated nutrition drinks. These extra costs can add up significantly over the course of months and years. Transportation costs. Depending on the nature of the personal injury, the victim may need to travel in a different manner than he or she did prior to the injury. For instance, the victim may need to purchase a new vehicle that is better suited or outfitted for the victim’s particular injuries or physical limitations. These represent transportation costs that can place an additional heavy financial burden on the victim and/or the victim’s family. Costs for daycare or babysitters (or pet sitters). Patients who have children and are faced with a long hospital stay may need help from a babysitter or childcare service if family members are not available to care for the children. The same is true if you can no longer walk or take care of your family pet. Costs of care or medication not covered by health insurance. Depending on the extent of coverage provided by an individual’s health plan, your medication may not be covered. These costs must be handled out-of-pocket. Late fees on your bills. If you get stuck in the hospital without anyone to manage your expenses at home, your monthly bills may not get paid on time, leading to unanticipated late fees or creditor collection activities. Home maintenance costs. Certain injuries could leave you unable to care for your home in the way you used to do. Mowing the lawn, shoveling the sidewalk, or even sweeping the floor may prove impossible after a serious injury. You may need to hire someone to perform these services for you. Replacing personal property other than your car. Your insurance may pay for the cost of a rental car, but it won’t replace personal items inside the vehicle. A trunkful or groceries or your child’s football equipment may not cost much in the overall scheme, but they are still unplanned expenses. Beyond the financial costs mentioned above, there are also emotional, mental, and social costs that can rob an individual of his or her freedom and quality of life. This is why it is important that you seek legal counsel if someone caused you harm. Making a claim for compensation can help with the costs of your bills, but it also allows you to regain your independence by helping you pay for services or goods you never expected to need. At Harris Lowry Manton LLP, our personal injury attorneys are here to fight for your financial recovery if you have sustained an injury due to someone else’s negligence. Call us today at one of our convenient office locations to arrange a free consultation – 404.998.8847 in Atlanta or 912.417.3774 in Savannah – or fill out our contact form.